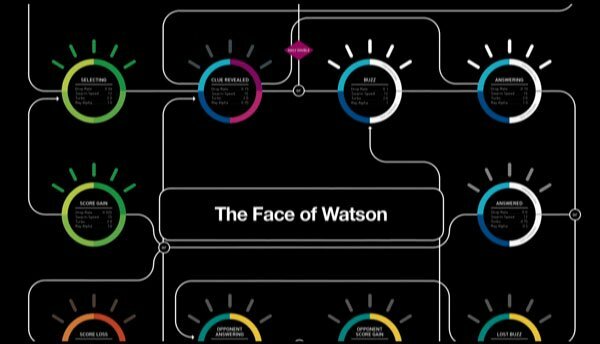 For those who are unaware, the IBM Watson Trend app – available on iOS here – is the latest big data project to come out of IBM. The premise is fantastic – It analyses millions of pieces of social content ranging across premium review content websites, like BurnTech, as well as conversations happening in social media. It then looks and the sentiment of these conversations to hook out the negative chatter, and then identifies the products which are garnering good reviews from the experts and the endorsements of everyday folks. The result, a curated shopping list that helps you pick shore-fire winners this Christmas. What we really love about the app is the fact that it not only tells us what is trending, but also why its trending. This lets us collate the collective intelligence of the crowd, which has long since being known to help people make better decisions. This idea of mass peer reviews is covered in this Wikipedia article, but needless to say its powerful. What’s more, we have all turned to friends advice when it comes to a shopping decision. Whether its a second opinion around a shirt, or more sage advice around high-tech goods, we all have trusted confidents who help us make better choices. IBM’s vision is to crowd-source this intelligence, helping us to identify more experts to help us out. As our readers know, we focus on wearable technology, sports and fitness tech and everything in between on BurnTech. So we wanted to put the app to the test, and to identify the trending wearables going into the festive season. So lets see what it came up with. So firstly the IBM Watson trend forecaster only identifies 32 product buckets, at least in its forward facing app. Of these 32 the below fall into the wearable category, and are in reverse order of popularity – so the last one in our list is the most popular. So what are the wearable trends for Christmas and beyond, as identified by IMB? The first wearable to make the list is Sennheiser headphones, a manufacturer of higher-end headphones, some of which are built with the gym and training in mind. According to IBM, this is an emerging trend because of the perceived value for money around these headphones. The crowd have identified awesome sound quality an the fact that they appeal to a wide and diverse range of people – from gym-goers to gamers. Whilst they hold a wide demographic appeal, they are most popular in Wisconsin, Connecticut and Michigan. The first entrance form the red-hot smart watch category. Interestingly, IBM have identified a #wearables trend which is ‘anti-Apple’, with this ‘fun device’ leading the way. Its essentially a watch with some added bonus features which help make it ‘smart’, and IBM have found that many people are comparing it to the Apple Watch, with raw distinctions and points of difference being a hot debating topic among the blogs, reviews and social media that IBM scanned. The Pebble time trend is really kicking in, and its velocity puts it on course to surpass the Sennheiser trend in time for the peak Black Friday shopping gold-rush. Further up the trending charts are Nike running shoes, a trend which likely encapsulates the whole ‘activewear’ trend of people buying sports specific clothing and other training focussed gear to carry out ‘everyday activities’ like walking the dog and going to the shops. So Nike, sitting at the intersection between sport, lifestyle and fashion – are well laced to make hay this Christmas. This positioning makes their reach much broader then the running shoe niche would suggest. What are people talking about when it comes to Nike shoes? Mainly the colour and design, and their versatility as fashion statements that you can wear out and about, as well as wonderfully functionally in the gym. The Nike Frees – checkout our article comparing them to the Adidas Boost’s here – are the top product identified. Interestingly, IBM have noticed a resurfacing of the 2013 trend for ‘barefoot’ running – a topic which we covered here. Demographics wise, the Nike trend is much more female focussed, with women twice as likely to discuss the trend as men. This trend is an interesting one though, because it peas aggressively in mid-summer, around August – hitting a trending score of 100, before dropping away equally aggressively, to a low point in October of just 17. Its on the rise again now though, peaking at 68 in mid-November. The headphones characterised by oversized on-ear designs, bright colours and solid industrial designs, had seemed to have reached their peak in late spring and early summer. On BurnTech, we have seen a marked fall in the volume of searches landing on our site covering this topic. However, they are back. In truth, these have been seriously popular since at least 2008, anchored against the companies use of high profile celebrities to help drive sales. The vocalness of such celebrities within their marketing channels social media accounts may have influenced this trends resurfacing with IBM, as we certainly thought it had peaked. IBMs take is that it did reach dizzy heights around mid-August (83/100), it has yo-yo’d since, but is now back up into the 40’s. The BurnTech take? We suspect that celebrity endorses may be being given a higher social velocity score (weighting of their mentions) by the IBM Watson super-computers in lieu of their greater follower/fan/friend numbers – and this could be causing a data bias. Doubtlessly plenty of these will shift this Christmas nevertheless! This possibly explains some of Fitbit’s nervousness recently. Despite a revenue surge of 168%, investors have been wary of the number one best selling manufacturer in the wearables space. Fitbit have been dismissive of the Apple watch, claiming its made no material difference to them, but now the mud-clears. Clearly, Fitbit are much closer to the true stats then we are, and we can now assume they’re finally starting to take a real beating by Apple – the company many tipped to make smartwatches ‘mainstream’. IBM have identified a positive theme to the online discussions, and this has been aided by the release of the 2.0 iOS for the watch. The social web has been buzzing about the watches design and app notifications. This trend has been on 100/100 since August, with just 3 days worth of data falling below 100 (2 days in late August, one day in mid-October). 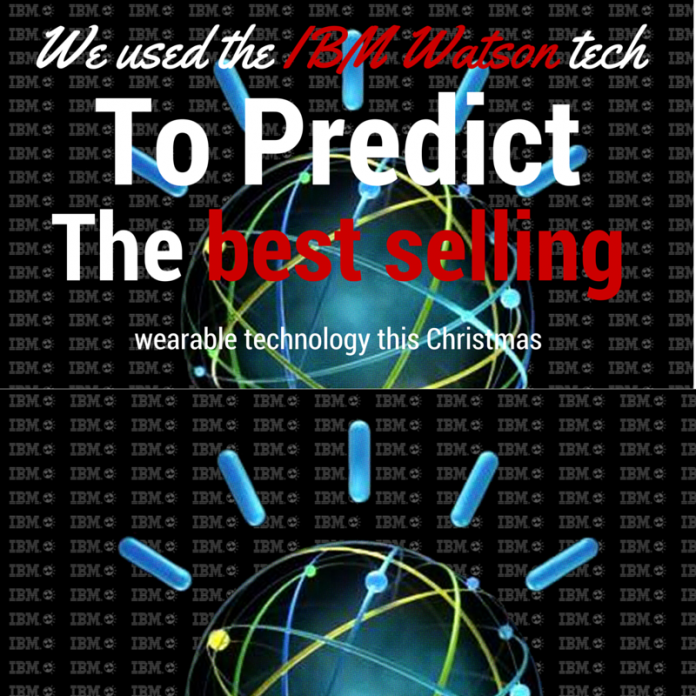 So there we have it, BM just predicted the best selling wearables this Christmas. Previous articleHealBe GoBe Body Manager Review – Auto Calorie Counting & Hydration Monitoring – does it work?